This book examines the use of state-of-the-art technology to achieve filmless radiology, describing its impact on healthcare systems and providing valuable insights into reengineering healthcare. Sharing expertise developed in implementing Picture Archival and Communications System (PACS) technology capable of supporting filmless radiology, it relates experiences at the Baltimore Veterans Administration Medical Center (VAMC), the first site to have a fully operational filmless radiology system. 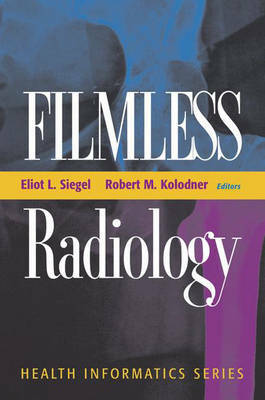 The book will provide an overview of filmless radiology with advice on acquiring PAC systems. Also included are sections on its impact on the practice of radiology and the delivery of health care (filmless radiology is central to teleradiology), clinical uses of computed radiography, technological issues, and case studies from both inside and outside the VA system.